EMISSION FLOW VARIATION TEST APPARATUS is widely used to determine the Emission flow rate of Emitters and Emitting pipe. Kant Plastology feel immensely pleased to offer an exclusive gamut of EMISSION FLOW VARIATION TEST APPARATUS. This apparatus is manufactured by utilizing optimum quality raw material and advance technology by our adroit professionals. The apparatus has precise pressure control on fluid passes through test sample. 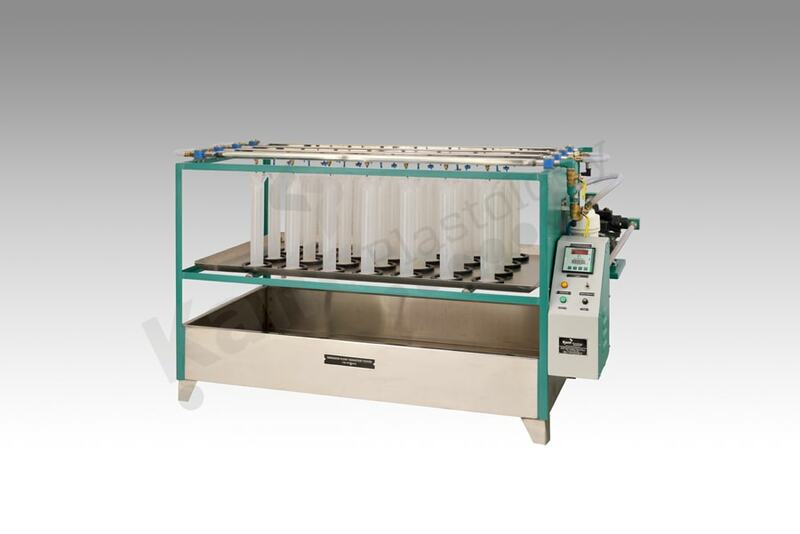 This apparatus reduce the time and human effort due to common test sample adaptor for 12mm, 16mm & 20mm Emitting Pipe and easy tray sliding arrangement to measure the exact emission flow. Digital timer with auto pump-off function at set time feature is help to determine the accurate test results. Very ease maintenance due to simple mechanism of entire test assembly.